BMD is proud to be the exclusive distributor of SERALITE® in the Benelux. Abingdon Health is focusing on haematology oncology and specifically in the area of B-Cell dyscrasias. 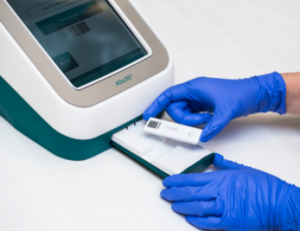 They developed a rapid test in this market: SERALITE® – FLC, the world’s first rapid device for aiding the diagnosis and monitoring of multiple myeloma patients. 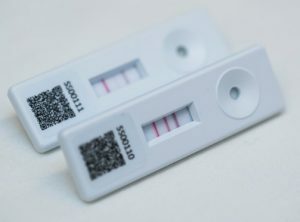 SERALITE® – FLC utilises highly specific, anti-K and anti-λ monoclonal antibodies (mAbs) which are conjugated to gold particles and incorporated into a simple to use lateral flow device allowing the quantitative measurement of kappa (K) and lambda (λ) immunoglobulin free light chains (FLCs) in Serum.